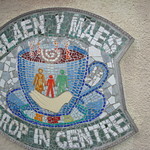 The Drop-in Centre in Blaenymaes is a volunteer community project that provides a focus for self-help initiatives in an informal, non-judgemental and friendly environment. 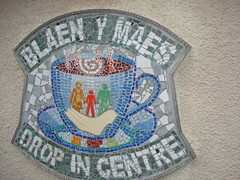 The Centre is based in three bungalows that had been earmarked for demolition but now provide useful meeting space and a community clothing shop where second-hand clothing can be donated, repaired and cleaned and then sold on to others in the community at low cost. A range of training courses, some of which are accredited, are run both in the Centre and the small garden to the rear which has been developed from a very overgrown state. A volunteer-run food co-op in the Centre provides access to affordable fresh fruit and vegetables and there is also a scheme to provide emergency food and clothing parcels to those in particular need. This project is entirely run by volunteers, and they are always looking for new faces to come along and join in on loads of differnt activities. Help with the garden, the shop, meet and greet, IT support, promotion, running the food co-op, and much more!